I have over 30 years of local, regional, national and international real estate experience specializing in leasing, investment, and multi-family investment transactions, as well as providing consulting and advisory services to many industries including high-tech, real estate, banking, charter schools, defense contractors, engineering, entertainment, insurance, law, medical, and telecommunications firms. Some of my experience includes tenant representation on behalf of Northrop Grumman Corporation for their 225,000 square foot world headquarters lease, the sale/leaseback of a 55,000 square foot headquarters facility on behalf of Golden State Mutual Life Insurance Company, acquisitions consulting and analysis of 200 unit + multi-family properties located throughout U.S. on behalf of Everest Properties, and landlord leasing representation of 500 N. Brand, a 22-story 420,000 square foot office tower owned by ING Clarion. I previously founded and ran my own brokerage and consulting services firm as President at Bridgman Real Estate. I also served as Senior Vice President at DAUM Commercial Real Estate and Colliers International specializing in office leasing and investment transactions as well as providing consulting and advisory services for major domestic and international companies. Prior to Colliers, I served as Director of Corporate Development, Western U.S. for Cypress Communications and was responsible for securing License Agreements with owners of commercial office buildings to provide Internet and telecom services. I also served at Los Angeles based Cushman Realty Corporation (now Cushman & Wakefield), including positions as director general (president) of Koll/Cushman Realty Mexico, corporate accountsmanager, executive assistant to the company’s CEO, John C. Cushman, III, senior broker, leasing and marketing manager, senior financial analyst and senior market analyst. My first “real job” was with MCI Telecommunications as a Full Service Account Executive for two years, responsible for establishing and maintaining corporate accounts. 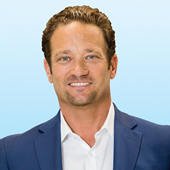 Nathan Pellow began his career in Commercial Real Estate with Colliers Los Angeles in 1995. Since joining Colliers, he has represented numerous tech and media, financial service companies, law firms and non-profits in over 5.0 million square feet of office real estate transactions throughout Greater Los Angeles. Nathan actively represents office tenant requirements relating to relocation or renewal of leased facilities, as well as assisting commercial building owners and users of office space in sale or lease of their properties. With comprehensive knowledge of Southern California's various office markets and keen negotiating skills, he brings to his clients intense dedication and vast experience. Michael joined Colliers International in our Downtown Los Angeles office in February of 2017, working with Nathan Pellow’s Office Brokerage Team. 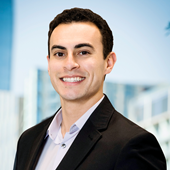 Michael focuses exclusively on tenant representation in downtown LA. After graduating from college, he quickly found commercial real estate and tenant representation to be his passion. On Nathan Pellow’s team, he primarily focuses on business development, property tours, financial analysis and research. Michael’s strong work ethic, along with his knowledge of the downtown Los Angeles market, creates exceptional value to the team’s clientele. He is a collaborative worker, active listener, and effective communicator. Michael is passionate about helping his clients reach their business objectives and real estate goals. Nick brings enthusiasm, intelligence, and applicable experience to the team. Having interned with a number of firms, including Colliers International, while in college at USC, Nick also participated in various real estate and networking organizations. Being an Eagle Scout, Nick has a proven track record of leadership and community service and is destined to become a key player in the Los Angeles Real Estate Community. Through a background in Business Administration, Nick best facilitates competition for a business’ occupancy. Nick analyzes a business’ core objectives and aligns their real estate to streamline the solution. As a result of an eclectic group of placements in commercial real estate, which includes working at the London and Los Angeles Collier's offices, Mr. Robbins has helped provide real estate solutions to office tenants around the globe. Mr. Robbins analyzes his client's core business objectives and formulates custom real estate strategies to improve operating efficiencies and effectively increase profit margins.